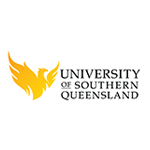 This session will take a look into University of Southern Queensland’s agricultural portfolio and highlight a number of key industry partnerships. By working closely with growers, research development corporations, Australian SMEs and global multinational organisations, i.e. John Deere, USQ develops advanced robotic sensing technologies to enhance autonomy in crop protection, biosecurity and animal welfare on-farm, with aims for on-farm adoption in the commercial farm conditions of today.